Since joining Learning Enterprises Organisation Ltd (LEO), a global entrepreneurship training company and direct selling organisation, in September 2016, Dr Jacques Guy Tambo has proved himself to be an impressive leader, already reaching the rank of Senior Associate. Through sheer commitment and hard work, he is making his mark as a pioneering LEO Member in the blossoming new market of Cameroon, and setting an example for budding entrepreneurs everywhere. 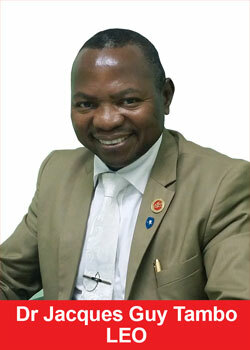 Based in Douala, in Cameroon, Central Africa, Dr Jacques Guy Tambo left behind a high-flying background as a CEO and company director, to find a strong sense of fulfilment by running his own successful LEO business. You have achieved so much since joining LEO ‘“ what would you say is the secret to your striking success? My success is simply the result of hard work, a consistent focus on spreading the word about LEOs wonderful products and, of course, a reflection of the trust and commitment received from my many partners, without whom all of this would not have been possible. Life is so sweet, so beautiful and plentiful for all ‘“ if we just believe in ourselves and work with sincerity, we can achieve great things! What inspired you to join LEO and what do you like most about the company? What I particularly like about LEO is its leadership and the lobbying it does. I joined LEO to help increase the awareness of the tremendous potential of cryptocurrency, especially LEOcoin, and to take advantage of LEOcoins very promising future. However, I also believe that LEO is an effective, inexpensive way to improve your knowledge in many areas, with its entrepreneurship training products, as well as being a gateway to the global monetary revolution of cryptocurrency. My main motivation to do well in my LEO business comes from the confidence I have in the great leadership of LEOs management, as well as my belief in the significant positive impact that LEOcoin will have on my life and the lives of those who trust us and follow us. What also helps me to keep going with my LEO business with so much sincerity is my goals, the belief I have in the LEO Ecosystem of products, the managements relentless hard work, and, finally, the fact that I firmly believe in the future of cryptocurrency, especially LEOcoin. You are clearly working very hard to achieve success ‘“ how does this fit in with your family life? I am very happy with how my LEO business fits in with my family commitments, and everything is working out well. In fact, with its good and generous compensation plan, LEO has helped me to find peace of mind, as it has enabled me to fund my childrens education. LEO has also allowed me to find pride in what I do, as I now have an impact on the hopes, dreams and financial education of many people around me and elsewhere, across the world. What advice would you give to young entrepreneurs who might be starting out in their business careers? I would tell any young entrepreneur to give themselves a good dose of self-confidence, and to understand and put into practice the concept that nothing is more powerful and beneficial than consistent and well-planned work. I would also tell them to only listen to, and follow, those who have achieved what they aspire to and who are the type of people they would like to become. 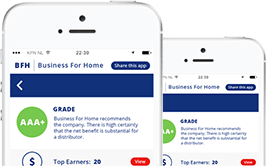 LEO has a unique programme which helps people to LEARN, with the training products it provides, EARN at the same time, by marketing these products, and also has a selection of ownership award programmes that help Members achieve their dream to OWN a successful business. LEO provides full training and support for all its new Members, including a helpful ‘˜Getting Started Guide, which contains an invaluable system to follow to get their businesses off to the best start, referred to as the #LEOSYSTEM. LEOs core products are designed to help people start their own business ‘“ eLearning, Live Seminars and Technology. LEO believes that everything is moving to the mobile platform. 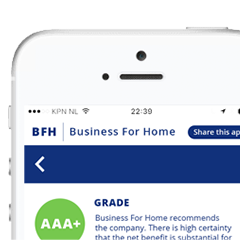 In response, LEO has developed apps that replicate its Member Back Office system and Marketing collateral support. However, the LEO Ecosystem does not stop there, as it also includes a digital currency, LEOcoin, and a crowdfunding platform, LEOcrowd.